Rivers is coming into the week 4 matchup averaging just above 264 passing yards per game. Although he has only amounted 793 passing yards on the season, good for 15th in the NFL, that could all change after his tilt with the New Orleans Saints. The Saints defense is just straight up bad when it comes to stopping the opposing team. They have given up the second most total yards in the league and are allowing almost 300 passing yards per game. Not to mention they are allowing 32 points per game as well (even after they held the Giants to only 16 points in week 2). With the combination of high points and yards allowed, Rivers, like most QBs who have faced the Saints this season, is in line to have a great game. Look for him to connect with the like of Tyrell Williams, Travis Benjamin, and Melvin Gordon early and often. However, as bad as the Saints D is, their offence isn't bad at all. After all, Drew Brees has the most passing yards in the league. This could bode well for Rivers and could add to his potential of exploding in week 4, make sure he is in your lineup. Blount, through 3 weeks sees himself leading the league in rushing yards (298) and rushing TDs (4). He has flourished in the absence of Tom Brady and should continue to do so this week versus the Bills. He has seen the endzone in every game thus far and has see 20+ touches in each game as well. Buffalo is allowing 98 yards per game to opposing RBs and have allowed 5 rushing TDs this season, 3rd most in the NFL. Look for Blount to resume his normal workhorse position and be aprime piece in an offence with two ailing quarterbacks. Until Brady returns, Blount will continue to succeed. Pryor went off last week and did pretty much everything possible in one game for one player. He had 35 passing yards, 21 rushing yards and capped it off with a huge 144 receiving yards. He played QB and was given the opportunity to make 5 throws and completed 3 of them. He rushed the ball 4 times and had a YPC of 5.3 while also scoring a touchdown. He caught 8 passes for 144 yards. All with a salary that caused most people to overlook him, something that might happen again in week 4. If he continues to be the ultimate utility player for the Browns, his value will be unbelievable. This is especially true if he continues to be used as a quarterback. He could see huge TD games if he is played at the 3 primary offensive positions. Even if they keep him solely at WR, his value is still justified with a modest price tag. We'll see how the Browns choose to deploy this offensive weapon. Kelce finally had an explosive game last week in the Chiefs route of the Jets. While their defence stole the show, Kelce collected 89 yards from 6 receptions with a TD. Kelce leads the Chiefs this year with 197 receiving yards on 17 catches. He has been targeted 21 times which is the second most behind no.1 WR Jeremy Maclin. In what should be a pass heavy game for the Chiefs, look for Kelce to see plenty of action and outplay his small price tag of $4800. With other TEs priced above him, Kelce has a real ability to outperform them and have another successful week in fantasy football. If there was ever a week to spend up on a defensive unit, it is this week. The Cards are playing the Rams who are averaging the least amount of yards per game in the NFL(262.7 yards/game). The Cards are in the top 4 for sacks with 9 and 5th in INTs with 4 to go along with a forced fumble and fumble recovery TD. They also rank in the top 10 for yards allowed per game. Case Keenum has thrown for more INTs than TDs early on in the season (3:2). The Rams have clearly struggled offensively this year with most of their success coming off of the run. If the Cardinals figure out a way to shut down Todd Gurley and the gang, they should be able to shut down this relatively weak offense. Brandon Moss - 1B STL Fanduel: 3200 Draftkings: 4000 - Moss squares off verse Robert Stephenson at Busch Stadium (St. Louis, Missouri) which ranks number 4 in runs scored. Stephenson has an ERA against lefties of 6.46 with a wOBA of 0.387. Also he isn't getting it done on the road. His ERA on the road is 10.8 and his wOBA is 0.468. Moss at home is incredible. His ISO is 0.265 and has a wOBA of 0.326. Moss hits righties very hard. His ISO is 0.311 and has a wOBA of 0.349. He should be in for a great game as long as he is starting. Coming off a 3 hit game yesterday, David Ortiz - 1B BOS Fanduel: 4200 Draftkings: 5600 - Ortiz will be seeing Luis Cessa at Yankee Stadium (New York, New York). Cessa has an ERA against lefties of 4.81 with a wOBA of 0.335. In addition, he is really struggling at home. His ERA at home is 5.61 and his wOBA is 0.346. During the past week Ortiz has scored 15.1 Fanduel fantasy points while his season average is 13.2. He has a batting average of 0.400 and a slugging percentage of 0.680 over that time. He also has hit 2 homeruns. Ortiz on the road is money. His ISO is 0.277 and has a wOBA of 0.398. Ortiz hits righties very hard. His ISO is 0.368 and has a wOBA of 0.449. 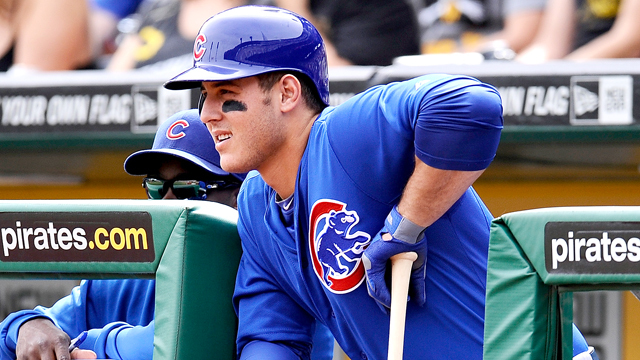 Anthony Rizzo - 1B CHC Fanduel: 4200 Draftkings: 5500 - Rizzo is facing Ryan Vogelsong at PNC Park (Pittsburgh, Pennsylvania). Vogelsong has an ERA against lefties of 5.76 with a wOBA of 0.396. His ERA at home is 4.96 and his wOBA is 0.350. Rizzo has faced Ryan Vogelsong 11 times with a slugging percentage of 1.273 with 3 homeruns. Rizzo on the road is awesome and his ISO is 0.285 and has a wOBA of 0.393. Rizzo hits righties big time, to the tune of an ISO of 0.279 and has a wOBA of 0.41. Kendrys Morales - 1B KAN Fanduel: 3200 Draftkings: 4300 - Moraleswill go against Jose Berrios at Kauffman Stadium (Kansas City, Missouri). Berrios has an ERA against switch hitters of 8.39 with a wOBA of 0.398. In addition, he is really struggling on the road. His ERA on the road is 7.92 and his wOBA is 0.385. Morales has scored 11.5 Fanduel fantasy points while his season average is 9.8. He has a batting average of 0.360 and a slugging percentage of 0.520 over that time. Morales at home is great! His ISO is 0.184 and has a wOBA of 0.35. Morales hits righties very hard. His ISO is 0.200 and has a wOBA of 0.323. Eric Hosmer - 1B KAN Fanduel: 3400 Draftkings: 3600 - Hosmer is facing Jose Berrios at Kauffman Stadium (Kansas City, Missouri). Berrios has an ERA against lefties of 8.39 with a wOBA of 0.398. Also he has not done well on the road. His ERA on the road is 7.92 and his wOBA is 0.385. Hosmer at home crushes it. He has an ISO of 0.123 and has a wOBA of 0.321. Hosmer hits righties very hard. His ISO is 0.165 and has a wOBA of 0.344. He can be in for a very nice game today. Coming off a 3 hit outting yesterday, Ben Zobrist - 2B CHC Fanduel: 3200 Draftkings: 4700 - Zobrist squares off verse Ryan Vogelsong at PNC Park (Pittsburgh, Pennsylvania). Vogelsong has an ERA against switch hitters of 5.76 with a wOBA of 0.396. His ERA at home is 4.96 and his wOBA is 0.350. Zobrist on the road is awesome and his ISO is 0.193 and has a wOBA of 0.381. Zobrist hits righties very hard. His ISO is 0.157 and has a wOBA of 0.346. Matt Carpenter - 2B STL Fanduel: 3900 Draftkings: 4000 - Carpenter will be battling Robert Stephenson at Busch Stadium (St. Louis, Missouri) which ranks number 4 in runs scored. Stephenson has an ERA against lefties of 6.46 with a wOBA of 0.387. In addition, he is really struggling on the road. His ERA on the road is 10.8 and his wOBA is 0.468. Carpenter at home is money. His ISO is 0.211 and has a wOBA of 0.385. Carpenter hits righties big time, to the tune of an ISO of 0.264 and has a wOBA of 0.385. Rougned Odor - 2B TEX Fanduel: 3700 Draftkings: 4000 - Odor is facing Jimmy Nelson at Globe Life Park in Arlington (Arlington, Texas) which ranks number 7 in runs scored. This game is showing a high Over under of 9.5, so expect a high scoring game. Nelson has an ERA against lefties of 4.63 with a wOBA of 0.343. Also he has been playing poorly on the road. His ERA on the road is 5.83 and his wOBA is 0.367. Odor at home is money. His ISO is 0.248 and has a wOBA of 0.357. Odor hits righties extremely hard. His ISO is 0.245 and has a wOBA of 0.344. He has a great matchup today. Dustin Pedroia - 2B BOS Fanduel: 3500 Draftkings: 4100 - Pedroia is taking on Luis Cessa at Yankee Stadium (New York, New York). Cessa has an ERA against righties of 3.93 with a wOBA of 0.324. In addition, he is really struggling at home. His ERA at home is 5.61 and his wOBA is 0.346. During the last week of games, Pedroia has scored 12 Fanduel fantasy points while his season average is 10.9. He has a batting average of 0.174 and a slugging percentage of 0.435 over that time. He also has hit 2 homeruns. Pedroia on the road is great! His ISO is 0.117 and has a wOBA of 0.335. Pedroia hits righties big time, to the tune of an ISO of 0.127 and has a wOBA of 0.354. This guy should crush it today if he is starting. Jedd Gyorko - 3B STL Fanduel: 2800 Draftkings: 3900 - Gyorko squares off verse Robert Stephenson at Busch Stadium (St. Louis, Missouri) which ranks number 4 in runs scored. Stephenson has an ERA against righties of 4.61 with a wOBA of 0.371. He really isn't doing well on the road. His ERA on the road is 10.8 and his wOBA is 0.468. Gyorko at home crushes it. He has an ISO of 0.196 and has a wOBA of 0.323. Gyorko hits righties extremely hard. His ISO is 0.287 and has a wOBA of 0.341. Kris Bryant - 3B CHC Fanduel: 4100 Draftkings: 5100 - Bryant will be pitted against Ryan Vogelsong at PNC Park (Pittsburgh, Pennsylvania). Vogelsong has an ERA against righties of 4.22 with a wOBA of 0.314. His ERA at home is 4.96 and his wOBA is 0.350. Over the last 7 days Bryant has scored 15.6 Fanduel fantasy points while his season average is 13.6. He has a batting average of 0.348 and a slugging percentage of 0.696 over that time. He also has hit 2 homeruns. Bryant on the road is great! His ISO is 0.286 and has a wOBA of 0.416. Bryant hits righties extremely hard. His ISO is 0.251 and has a wOBA of 0.389. He should be in for a great game as long as he is starting. Adrian Beltre - 3B TEX Fanduel: 3800 Draftkings: 4400 - Beltre is going against Jimmy Nelson at Globe Life Park in Arlington (Arlington, Texas) which ranks number 7 in runs scored. There over under on this game is pretty big at 9.5, so expect some runs to be scored. Nelson has an ERA against righties of 4.38 with a wOBA of 0.348. In addition he really has been pretty weak on the road. His ERA on the road is 5.83 and his wOBA is 0.367. During the last week of games, Beltre has scored 12.4 Fanduel fantasy points while his season average is 11.3. He has a batting average of 0.333 and a slugging percentage of 0.722 over that time. He also has hit 2 homeruns. Beltre at home is money. His ISO is 0.195 and has a wOBA of 0.384. Beltre hits righties in a big way, with an ISO of 0.202 and has a wOBA of 0.353. Justin Turner - 3B LOS Fanduel: 3700 Draftkings: 4900 - Turner is going against Paul Clemens at Petco Park (San Diego, California). Clemens has an ERA against righties of 5.86 with a wOBA of 0.412. In addition he really has been pretty weak at home. His ERA at home is 5.35 and his wOBA is 0.390. Turner on the road0.278 and has a wOBA of 0.387. Turner hits righties big time, to the tune of an ISO of 0.263 and has a wOBA of 0.383. Travis Shaw - 3B BOS Fanduel: 2900 Draftkings: 3300 - Shaw will be seeing Luis Cessa at Yankee Stadium (New York, New York). Cessa has an ERA against lefties of 4.81 with a wOBA of 0.335. Additionally, he isn't doing well at home. His ERA at home is 5.61 and his wOBA is 0.346. Shaw hits righties in a big way, with an ISO of 0.181 and has a wOBA of 0.327. Really try to get him into your lineups. Addison Russell - SS CHC Fanduel: 2300 Draftkings: 3700 - Russell will face Ryan Vogelsong at PNC Park (Pittsburgh, Pennsylvania). Vogelsong has an ERA against righties of 4.22 with a wOBA of 0.314. His ERA at home is 4.96 and his wOBA is 0.350. Elvis Andrus - SS TEX Fanduel: 2900 Draftkings: 4200 - Andrus is going against Jimmy Nelson at Globe Life Park in Arlington (Arlington, Texas) which ranks number 7 in runs scored. The over under on this game is huge, at 9.5,Nelson has an ERA against righties of 4.38 with a wOBA of 0.348. on the road. His ERA on the road is 5.83 and his wOBA is 0.367. Andrus has scored 18.6 Fanduel fantasy points while his season average is 9.9. He has a batting average of 0.412 and a slugging percentage of 0.882 over that time. He also has hit 2 homeruns. Andrus at home is great! His ISO is 0.140 and has a wOBA of 0.345. Andrus hits righties extremely hard. His ISO is 0.122 and has a wOBA of 0.325. Really try to get him into your lineups. Alcides Escobar - SS KAN Fanduel: 2600 Draftkings: 3700 - Escobar is taking on Jose Berrios at Kauffman Stadium (Kansas City, Missouri). Berrios has an ERA against righties of 9.38 with a wOBA of 0.445. In addition he really has been pretty weak on the road. His ERA on the road is 7.92 and his wOBA is 0.385. After a 3 hit performance yesterday, Jhonny Peralta - SS STL Fanduel: 3000 Draftkings: 3100 - Peralta will battle Robert Stephenson at Busch Stadium (St. Louis, Missouri) which ranks number 4 in runs scored. Stephenson has an ERA against righties of 4.61 with a wOBA of 0.371. In addition he really has been pretty weak on the road. His ERA on the road is 10.8 and his wOBA is 0.468. During the last week of games, Peralta has scored 10.5 Fanduel fantasy points while his season average is 7.5. He has a batting average of 0.353 and a slugging percentage of 0.412 over that time. Troy Tulowitzki - SS TOR Fanduel: 3100 Draftkings: 4000 - Tulowitzki will be facing Kevin Gausman at Rogers Centre (Toronto, Ontario) which ranks number 9 in runs scored and number 3 in home runs allowed. Gausman has an ERA against righties of 4.08 with a wOBA of 0.351. His ERA on the road is 4.36 and his wOBA is 0.338. Tulowitzki at home is incredible. His ISO is 0.187 and has a wOBA of 0.335. Tulowitzki hits righties in a big way, with an ISO of 0.199 and has a wOBA of 0.325. Jonathan Lucroy - C TEX Fanduel: 3600 Draftkings: 4600 - Lucroy will be seeing Jimmy Nelson at Globe Life Park in Arlington (Arlington, Texas) which ranks number 7 in runs scored. 9.5,Nelson has an ERA against righties of 4.38 with a wOBA of 0.348. He's playing poorly big time on the road. His ERA on the road is 5.83 and his wOBA is 0.367. Lucroy at home0.258 and has a wOBA of 0.396. Lucroy hits righties in a big way, with an ISO of 0.191 and has a wOBA of 0.371. Signs are pointing up for him today. Sandy Leon - C BOS Fanduel: 2900 Draftkings: 3200 - Leon will face Luis Cessa at Yankee Stadium (New York, New York). Cessa has an ERA against switch hitters of 4.81 with a wOBA of 0.335. Additionally, he isn't doing well at home. His ERA at home is 5.61 and his wOBA is 0.346. Leon on the road crushes it. He has an ISO of 0.182 and has a wOBA of 0.372. Leon hits righties very hard. His ISO is 0.150 and has a wOBA of 0.341. Salvador Perez - C KAN Fanduel: 3100 Draftkings: 3700 - Perez will go against Jose Berrios at Kauffman Stadium (Kansas City, Missouri). Berrios has an ERA against righties of 9.38 with a wOBA of 0.445. on the road. His ERA on the road is 7.92 and his wOBA is 0.385. During the last week of games, Perez has scored 13.1 Fanduel fantasy points while his season average is 8.5. He has a batting average of 0.273 and a slugging percentage of 0.636 over that time. He also has hit 2 homeruns. Perez at home crushes it. He has an ISO of 0.204 and has a wOBA of 0.337. His matchup it too much to overlook. James McCann - C DET Fanduel: 2300 Draftkings: 3200 - McCann will face Mike Clevinger at Comerica Park (Detroit, Michigan). Clevinger has an ERA against righties of 6.31 with a wOBA of 0.378. Also he isn't getting it done on the road. His ERA on the road is 6.04 and his wOBA is 0.320. During the prior 7 days McCann has scored 8.7 Fanduel fantasy points while his season average is 6.8. He has a batting average of 0.188 and a slugging percentage of 0.375 over that time. Russell Martin - C TOR Fanduel: 2900 Draftkings: 3300 - Martin will face Kevin Gausman at Rogers Centre (Toronto, Ontario) which ranks number 9 in runs scored and number 3 in home runs allowed. Gausman has an ERA against righties of 4.08 with a wOBA of 0.351. His ERA on the road is 4.36 and his wOBA is 0.338. During the past week Martin has scored 9.8 Fanduel fantasy points while his season average is 9.2. He has a batting average of 0.150 and a slugging percentage of 0.300 over that time. Martin at home is awesome and his ISO is 0.179 and has a wOBA of 0.355. Martin hits righties extremely hard. His ISO is 0.186 and has a wOBA of 0.332. 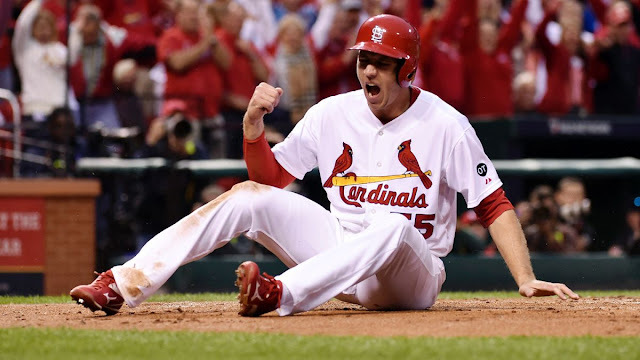 Stephen Piscotty - OF STL Fanduel: 3000 Draftkings: 3400 - Piscotty goes against Robert Stephenson at Busch Stadium (St. Louis, Missouri) which ranks number 4 in runs scored. Stephenson has an ERA against righties of 4.61 with a wOBA of 0.371. Also he has not done well on the road. His ERA on the road is 10.8 and his wOBA is 0.468. Piscotty at home is great! His ISO is 0.206 and has a wOBA of 0.36. Piscotty hits righties big time, to the tune of an ISO of 0.154 and has a wOBA of 0.317. Trea Turner - OF WAS Fanduel: 4000 Draftkings: 5500 - Turner will be taking on Matt Koch at Nationals Park (Washington, D.C.) which ranks number 6 in runs scored. Koch has an ERA against righties of 2.45 with a wOBA of 0.295. Additionally, he isn't doing well on the road. His ERA on the road is 9 and his wOBA is 2.014. Turner at home is awesome and his ISO is 0.235 and has a wOBA of 0.405. Turner hits righties big time, to the tune of an ISO of 0.270 and has a wOBA of 0.408. He should be in for a great game as long as he is starting. Randal Grichuk - OF STL Fanduel: 3100 Draftkings: 4400 - Grichuk faces Robert Stephenson at Busch Stadium (St. Louis, Missouri) which ranks number 4 in runs scored. Stephenson has an ERA against righties of 4.61 with a wOBA of 0.371. Additionally, he isn't doing well on the road. His ERA on the road is 10.8 and his wOBA is 0.468. Through the last seven days, Grichuk has scored 10 Fanduel fantasy points while his season average is 9.2. He has a batting average of 0.286 and a slugging percentage of 0.429 over that time. Grichuk at home0.249 and has a wOBA of 0.356. Grichuk hits righties in a big way, with an ISO of 0.249 and has a wOBA of 0.328. J.D. Martinez - OF DET Fanduel: 3200 Draftkings: 4200 - Martinez will be pitted against Mike Clevinger at Comerica Park (Detroit, Michigan). Clevinger has an ERA against righties of 6.31 with a wOBA of 0.378. Additionally, he isn't doing well on the road. His ERA on the road is 6.04 and his wOBA is 0.320. Martinez at home is awesome and his ISO is 0.271 and has a wOBA of 0.43. Martinez hits righties big time, to the tune of an ISO of 0.240 and has a wOBA of 0.396. Mookie Betts - OF BOS Fanduel: 4200 Draftkings: 5600 - Betts will battle Luis Cessa at Yankee Stadium (New York, New York). Cessa has an ERA against righties of 3.93 with a wOBA of 0.324. Also he has not done well at home. His ERA at home is 5.61 and his wOBA is 0.346. During the prior 7 days Betts has scored 14.3 Fanduel fantasy points while his season average is 13.9. He has a batting average of 0.500 and a slugging percentage of 0.500 over that time. Betts on the road is money. His ISO is 0.184 and has a wOBA of 0.365. Betts hits righties very hard. His ISO is 0.213 and has a wOBA of 0.392. Cameron Maybin - OF DET Fanduel: 3200 Draftkings: 4500 - Maybin will face Mike Clevinger at Comerica Park (Detroit, Michigan). Clevinger has an ERA against righties of 6.31 with a wOBA of 0.378. He really isn't doing well on the road. His ERA on the road is 6.04 and his wOBA is 0.320. Over the last 7 days Maybin has scored 19.3 Fanduel fantasy points while his season average is 10.9. He has a batting average of 0.414 and a slugging percentage of 0.690 over that time. Maybin at home is great! His ISO is 0.139 and has a wOBA of 0.407. Maybin hits righties very hard. His ISO is 0.096 and has a wOBA of 0.352. Dexter Fowler - OF CHC Fanduel: 4100 Draftkings: 5300 - Fowler squares off verse Ryan Vogelsong at PNC Park (Pittsburgh, Pennsylvania). Vogelsong has an ERA against switch hitters of 5.76 with a wOBA of 0.396. His ERA at home is 4.96 and his wOBA is 0.350. During their history against eachother, Fowler has faced Ryan Vogelsong 19 times with a slugging percentage of 0.579. Fowler has scored 21.6 Fanduel fantasy points while his season average is 11.2. He has a batting average of 0.421 and a slugging percentage of 0.737 over that time. Fowler on the road is great! His ISO is 0.213 and has a wOBA of 0.393. Fowler hits righties big time, to the tune of an ISO of 0.162 and has a wOBA of 0.353. Really try to get him into your lineups. Marwin Gonzalez - 1B HOU Fanduel: 2800 Draftkings: 3600 - Gonzalez faces Daniel Wright at Minute Maid Park (Houston, Texas). Wright has an ERA against switch hitters of 7.43 with a wOBA of 0.405. In addition he really has been pretty weak on the road. His ERA on the road is 8.27 and his wOBA is 0.459. 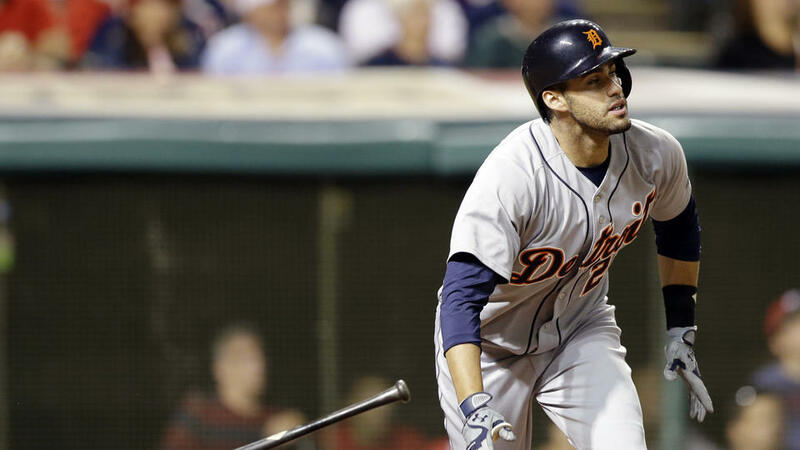 During the last week of games, Gonzalez has scored 8.2 Fanduel fantasy points while his season average is 7.8. He has a batting average of 0.217 and a slugging percentage of 0.217 over that time. Chris Davis - 1B BAL Fanduel: 3300 Draftkings: 4100 - Davis is facing Braden Shipley at Oriole Park at Camden Yards (Baltimore, Maryland). This could be a shoot out with an over under of 9.5, so expect a high scoring game. Shipley has an ERA against lefties of 5.40 with a wOBA of 0.357. on the road. His ERA on the road is 5.13 and his wOBA is 0.367. Davis at home is awesome and his ISO is 0.225 and has a wOBA of 0.323. Davis hits righties in a big way, with an ISO of 0.276 and has a wOBA of 0.354. This guy should crush it today if he is starting. Kennys Vargas - 1B MIN Fanduel: 2800 Draftkings: 3700 - Vargas will be pitted against Taijuan Walker at Target Field (Minneapolis, Minnesota) which ranks number 3 in runs scored and number 14 in home runs allowed. Walker has an ERA against switch hitters of 4.30 with a wOBA of 0.301. His ERA on the road is 4.24 and his wOBA is 0.316. Vargas at home is incredible. His ISO is 0.226 and has a wOBA of 0.324. He should score some big points for you today if he is starting. Joey Votto - 1B CIN Fanduel: 4100 Draftkings: 5200 - Votto will face Wily Peralta at Miller Park (Milwaukee, Wisconsin). Peralta has an ERA against lefties of 5.30 with a wOBA of 0.380. He really isn't doing well at home. His ERA at home is 5.43 and his wOBA is 0.373. Votto on the road0.197 and has a wOBA of 0.403. Votto hits righties big time, to the tune of an ISO of 0.241 and has a wOBA of 0.421. Signs are pointing up for him today. Adam Lind - 1B SEA Fanduel: 2700 Draftkings: 3900 - Lind will be battling Hector Santiago at Target Field (Minneapolis, Minnesota) which ranks number 3 in runs scored and number 14 in home runs allowed. Santiago has an ERA against lefties of 4.81 with a wOBA of 0.349. In addition he really has been pretty weak at home. His ERA at home is 6.02 and his wOBA is 0.356. Jose Altuve - 2B HOU Fanduel: 3700 Draftkings: 5300 - Altuve goes against Daniel Wright at Minute Maid Park (Houston, Texas). Wright has an ERA against righties of 7.53 with a wOBA of 0.444. He's playing poorly big time on the road. His ERA on the road is 8.27 and his wOBA is 0.459. Altuve at home is great! His ISO is 0.219 and has a wOBA of 0.362. Altuve hits righties extremely hard. His ISO is 0.203 and has a wOBA of 0.396. This guy should get some good fantasy points. Brian Dozier - 2B MIN Fanduel: 3600 Draftkings: 4700 - Dozier will be battling Taijuan Walker at Target Field (Minneapolis, Minnesota) which ranks number 3 in runs scored and number 14 in home runs allowed. Walker has an ERA against righties of 4.33 with a wOBA of 0.341. His ERA on the road is 4.24 and his wOBA is 0.316. Dozier at home0.286 and has a wOBA of 0.371. Dozier hits righties very hard. His ISO is 0.272 and has a wOBA of 0.371. Jonathan Schoop - 2B BAL Fanduel: 3000 Draftkings: 3600 - Schoop faces Braden Shipley at Oriole Park at Camden Yards (Baltimore, Maryland). This game has a high over under of 9.5, so expect a lot of runs to be scored. Shipley has an ERA against righties of 5.64 with a wOBA of 0.425. Also he isn't getting it done on the road. His ERA on the road is 5.13 and his wOBA is 0.367. Schoop at home is incredible. His ISO is 0.192 and has a wOBA of 0.327. Schoop hits righties very hard. His ISO is 0.198 and has a wOBA of 0.333. He should be in for a great game as long as he is starting. Robinson Cano - 2B SEA Fanduel: 3800 Draftkings: 4300 - Cano goes against Hector Santiago at Target Field (Minneapolis, Minnesota) which ranks number 3 in runs scored and number 14 in home runs allowed. Santiago has an ERA against lefties of 4.81 with a wOBA of 0.349. He really isn't doing well at home. His ERA at home is 6.02 and his wOBA is 0.356. Cano on the road crushes it. He has an ISO of 0.239 and has a wOBA of 0.392. Cano hits lefties in a big way, with an ISO of 0.186 and has a wOBA of 0.34. He has a nice matchup today. Brandon Phillips - 2B CIN Fanduel: 3200 Draftkings: 4100 - Phillips will be seeing Wily Peralta at Miller Park (Milwaukee, Wisconsin). Peralta has an ERA against righties of 5.13 with a wOBA of 0.366. He's playing poorly big time at home. His ERA at home is 5.43 and his wOBA is 0.373. Through the last seven days, Phillips has scored 9.3 Fanduel fantasy points while his season average is 9.1. He has a batting average of 0.250 and a slugging percentage of 0.458 over that time. Phillips on the road is incredible. His ISO is 0.101 and has a wOBA of 0.318. Phillips hits righties big time, to the tune of an ISO of 0.130 and has a wOBA of 0.33. Jose Reyes - 3B NYM Fanduel: 3000 Draftkings: 4500 - Reyes squares off verse Jake Thompson at Citi Field (New York, New York). Thompson has an ERA against switch hitters of 4.30 with a wOBA of 0.385. He's playing poorly big time on the road. His ERA on the road is 9.2 and his wOBA is 0.435. Reyes at home is incredible. His ISO is 0.229 and has a wOBA of 0.328. Manny Machado - 3B BAL Fanduel: 3800 Draftkings: 4400 - Machado will be battling Braden Shipley at Oriole Park at Camden Yards (Baltimore, Maryland). 9.5, so expect a lot of runs to be scored. Shipley has an ERA against righties of 5.64 with a wOBA of 0.425. In addition, he is really struggling on the road. His ERA on the road is 5.13 and his wOBA is 0.367. Machado at home is incredible. His ISO is 0.248 and has a wOBA of 0.368. Machado hits righties extremely hard. His ISO is 0.256 and has a wOBA of 0.366. Signs are pointing up for him today. Kyle Seager - 3B SEA Fanduel: 3900 Draftkings: 3800 - Seager will face Hector Santiago at Target Field (Minneapolis, Minnesota) which ranks number 3 in runs scored and number 14 in home runs allowed. Santiago has an ERA against lefties of 4.81 with a wOBA of 0.349. In addition, he is really struggling at home. His ERA at home is 6.02 and his wOBA is 0.356. Seager on the road is money. His ISO is 0.255 and has a wOBA of 0.37. Seager hits lefties in a big way, with an ISO of 0.215 and has a wOBA of 0.328. You need to get him in your lineups today. Following a 3 hit outting yesterday, Eugenio Suarez - 3B CIN Fanduel: 2800 Draftkings: 3200 - Suarez will battle Wily Peralta at Miller Park (Milwaukee, Wisconsin). Peralta has an ERA against righties of 5.13 with a wOBA of 0.366. Additionally, he isn't doing well at home. His ERA at home is 5.43 and his wOBA is 0.373. Jorge Polanco - 3B MIN Fanduel: 2700 Draftkings: 3200 - Polanco will be seeing Taijuan Walker at Target Field (Minneapolis, Minnesota) which ranks number 3 in runs scored and number 14 in home runs allowed. Walker has an ERA against switch hitters of 4.30 with a wOBA of 0.301. His ERA on the road is 4.24 and his wOBA is 0.316. Carlos Correa - SS HOU Fanduel: 3600 Draftkings: 4800 - Correa will be pitted against Daniel Wright at Minute Maid Park (Houston, Texas). Wright has an ERA against righties of 7.53 with a wOBA of 0.444. He really isn't doing well on the road. His ERA on the road is 8.27 and his wOBA is 0.459. Correa at home crushes it. He has an ISO of 0.173 and has a wOBA of 0.34. Correa hits righties big time, to the tune of an ISO of 0.194 and has a wOBA of 0.359. This guy should get some good fantasy points. Asdrubal Cabrera - SS NYM Fanduel: 3400 Draftkings: 4600 - Cabrera will be battling Jake Thompson at Citi Field (New York, New York). Thompson has an ERA against switch hitters of 4.30 with a wOBA of 0.385. Also he has not done well on the road. His ERA on the road is 9.2 and his wOBA is 0.435. Over the last 7 days Cabrera has scored 13.8 Fanduel fantasy points while his season average is 9.4. He has a batting average of 0.348 and a slugging percentage of 0.652 over that time. He also has hit 2 homeruns. Cabrera at home is incredible. His ISO is 0.252 and has a wOBA of 0.374. Cabrera hits righties in a big way, with an ISO of 0.213 and has a wOBA of 0.346. He has a nice matchup today. Alcides Escobar - SS KAN Fanduel: 2500 Draftkings: 2800 - Escobar faces Matt Boyd at Comerica Park (Detroit, Michigan). There's a high over under on this game, 9.5, so get ready for a lot of runs. Boyd has an ERA against righties of 4.31 with a wOBA of 0.326. His ERA at home is 4.11 and his wOBA is 0.318. Over the last week Escobar has scored 8.1 Fanduel fantasy points while his season average is 7.9. He has a batting average of 0.217 and a slugging percentage of 0.478 over that time. He also has hit 2 homeruns. Troy Tulowitzki - SS TOR Fanduel: 3400 Draftkings: 3600 - Tulowitzki will be battling Michael Pineda at Rogers Centre (Toronto, Ontario) which ranks number 9 in runs scored and number 3 in home runs allowed. Pineda has an ERA against righties of 5.40 with a wOBA of 0.324. on the road. His ERA on the road is 5.36 and his wOBA is 0.334. Tulowitzki at home is awesome and his ISO is 0.187 and has a wOBA of 0.335. Tulowitzki hits righties very hard. His ISO is 0.199 and has a wOBA of 0.325. Signs are pointing up for him today. Ketel Marte - SS SEA Fanduel: 2600 Draftkings: 2900 - Marte will be seeing Hector Santiago at Target Field (Minneapolis, Minnesota) which ranks number 3 in runs scored and number 14 in home runs allowed. Santiago has an ERA against switch hitters of 4.82 with a wOBA of 0.332. In addition, he is really struggling at home. His ERA at home is 6.02 and his wOBA is 0.356. Evan Gattis - C HOU Fanduel: 3000 Draftkings: 4200 - Gattis will face Daniel Wright at Minute Maid Park (Houston, Texas). Wright has an ERA against righties of 7.53 with a wOBA of 0.444. He's playing poorly big time on the road. His ERA on the road is 8.27 and his wOBA is 0.459. Over the last 7 days Gattis has scored 11.6 Fanduel fantasy points while his season average is 9.9. He has a batting average of 0.174 and a slugging percentage of 0.565 over that time. He also has hit 3 homeruns. Gattis at home is money. His ISO is 0.277 and has a wOBA of 0.331. Gattis hits righties very hard. His ISO is 0.254 and has a wOBA of 0.327. Jason Castro - C HOU Fanduel: 2500 Draftkings: 3000 - Castro goes against Daniel Wright at Minute Maid Park (Houston, Texas). Wright has an ERA against lefties of 7.43 with a wOBA of 0.405. In addition he really has been pretty weak on the road. His ERA on the road is 8.27 and his wOBA is 0.459. Castro hits righties extremely hard. His ISO is 0.204 and has a wOBA of 0.341. Mike Zunino - C SEA Fanduel: 2700 Draftkings: 3400 - Zuninowill go against Hector Santiago at Target Field (Minneapolis, Minnesota) which ranks number 3 in runs scored and number 14 in home runs allowed. Santiago has an ERA against righties of 4.82 with a wOBA of 0.332. In addition, he is really struggling at home. His ERA at home is 6.02 and his wOBA is 0.356. Zunino hits lefties in a big way, with an ISO of 0.263 and has a wOBA of 0.376. Matt Wieters - C BAL Fanduel: 2700 Draftkings: 3800 - Wieters will face Braden Shipley at Oriole Park at Camden Yards (Baltimore, Maryland). 9.5, so I think you should expect a lot of fantasy points being scored. Shipley has an ERA against switch hitters of 5.40 with a wOBA of 0.357. on the road. His ERA on the road is 5.13 and his wOBA is 0.367. Tucker Barnhart - C CIN Fanduel: 2300 Draftkings: 3100 - Barnhart will battle Wily Peralta at Miller Park (Milwaukee, Wisconsin). Peralta has an ERA against switch hitters of 5.30 with a wOBA of 0.380. Also he isn't getting it done at home. His ERA at home is 5.43 and his wOBA is 0.373. Barnhart has scored 7.7 Fanduel fantasy points while his season average is 7.2. He has a batting average of 0.143 and a slugging percentage of 0.214 over that time. Barnhart hits righties big time, to the tune of an ISO of 0.138 and has a wOBA of 0.316. He has a great matchup today. Adam Duvall - OF CIN Fanduel: 2400 Draftkings: 4000 - Duvall will be battling Wily Peralta at Miller Park (Milwaukee, Wisconsin). Peralta has an ERA against righties of 5.13 with a wOBA of 0.366. Additionally, he isn't doing well at home. His ERA at home is 5.43 and his wOBA is 0.373. Duvall on the road is money. His ISO is 0.237 and has a wOBA of 0.327. Duvall hits righties in a big way, with an ISO of 0.265 and has a wOBA of 0.332. Mark Trumbo - OF BAL Fanduel: 3400 Draftkings: 4800 - Trumbo is facing Braden Shipley at Oriole Park at Camden Yards (Baltimore, Maryland). There over under on this game is pretty big at 9.5, so expect a lot of runs to happen! Shipley has an ERA against righties of 5.64 with a wOBA of 0.425. Also he isn't getting it done on the road. His ERA on the road is 5.13 and his wOBA is 0.367. Trumbo at home is incredible. His ISO is 0.291 and has a wOBA of 0.369. Trumbo hits righties big time, to the tune of an ISO of 0.291 and has a wOBA of 0.378. He has a nice matchup today. After a 3 hit game yesterday, George Springer - OF HOU Fanduel: 3800 Draftkings: 4000 - Springer will battle Daniel Wright at Minute Maid Park (Houston, Texas). Wright has an ERA against righties of 7.53 with a wOBA of 0.444. He really isn't doing well on the road. His ERA on the road is 8.27 and his wOBA is 0.459. Springer at home is great! His ISO is 0.174 and has a wOBA of 0.341. Springer hits righties extremely hard. His ISO is 0.166 and has a wOBA of 0.327. Max Kepler - OF MIN Fanduel: 2600 Draftkings: 3400 - Kepler is taking on Taijuan Walker at Target Field (Minneapolis, Minnesota) which ranks number 3 in runs scored and number 14 in home runs allowed. Walker has an ERA against lefties of 4.30 with a wOBA of 0.301. His ERA on the road is 4.24 and his wOBA is 0.316. Kepler hits righties big time, to the tune of an ISO of 0.222 and has a wOBA of 0.334. Michael Conforto - OF NYM Fanduel: 2500 Draftkings: 3700 - Conforto will be battling Jake Thompson at Citi Field (New York, New York). Thompson has an ERA against lefties of 4.30 with a wOBA of 0.385. Also he has not done well on the road. His ERA on the road is 9.2 and his wOBA is 0.435. Over the last week Conforto has scored 10.4 Fanduel fantasy points while his season average is 7.4. He has a batting average of 0.333 and a slugging percentage of 0.600 over that time. Conforto at home is money. His ISO is 0.234 and has a wOBA of 0.342. Conforto hits righties in a big way, with an ISO of 0.233 and has a wOBA of 0.347. Adam Jones - OF BAL Fanduel: 3500 Draftkings: 4600 - Jones will face Braden Shipley at Oriole Park at Camden Yards (Baltimore, Maryland). The over under on this game is huge, at 9.5, so expect a lot of runs to be scored. Shipley has an ERA against righties of 5.64 with a wOBA of 0.425. Also he has not done well on the road. His ERA on the road is 5.13 and his wOBA is 0.367. Jones at home is incredible. His ISO is 0.193 and has a wOBA of 0.347. Jones hits righties extremely hard. His ISO is 0.201 and has a wOBA of 0.351. J.D. Martinez - OF DET Fanduel: 3300 Draftkings: 4000 - Martinez squares off verse Edinson Volquez at Comerica Park (Detroit, Michigan). This game has a high over under of 9.5, so expect some runs to be scored. Volquez has an ERA against righties of 5.48 with a wOBA of 0.336. Also he has been playing poorly on the road. His ERA on the road is 5.45 and his wOBA is 0.347. During his career, Martinez has faced Edinson Volquez 18 times with a slugging percentage of 0.389 with 1 homeruns. During the past week Martinez has scored 13.6 Fanduel fantasy points while his season average is 11.5. He has a batting average of 0.261 and a slugging percentage of 0.478 over that time. Martinez at home crushes it. He has an ISO of 0.271 and has a wOBA of 0.43. Martinez hits righties extremely hard. His ISO is 0.240 and has a wOBA of 0.396. Mike Napoli - 1B CLE Fanduel: 3400 Draftkings: 4100 - Napoli will be facing Tyler Duffey at Target Field (Minneapolis, Minnesota) which ranks number 3 in runs scored and number 14 in home runs allowed. Duffey has an ERA against righties of 8.32 with a wOBA of 0.412. at home. His ERA at home is 7.22 and his wOBA is 0.397. Napoli hits righties big time, to the tune of an ISO of 0.243 and has a wOBA of 0.34. After a 3 hit game yesterday, Ryan Zimmerman - 1B WAS Fanduel: 3200 Draftkings: 3100 - Zimmerman will face Jake Thompson at Nationals Park (Washington, D.C.) which ranks number 6 in runs scored. Thompson has an ERA against righties of 9.56 with a wOBA of 0.340. In addition he really has been pretty weak on the road. His ERA on the road is 12.54 and his wOBA is 0.500. Carlos Santana - 1B CLE Fanduel: 3700 Draftkings: 4700 - Santana will be battling Tyler Duffey at Target Field (Minneapolis, Minnesota) which ranks number 3 in runs scored and number 14 in home runs allowed. Duffey has an ERA against switch hitters of 4.19 with a wOBA of 0.314. He's playing poorly big time at home. His ERA at home is 7.22 and his wOBA is 0.397. During the prior 7 days Santana has scored 11.9 Fanduel fantasy points while his season average is 11. He has a batting average of 0.176 and a slugging percentage of 0.353 over that time. Santana on the road is money. His ISO is 0.225 and has a wOBA of 0.355. Santana hits righties very hard. His ISO is 0.273 and has a wOBA of 0.371. Brandon Moss - 1B STL Fanduel: 3400 Draftkings: 3900 - Moss is going against Jimmy Nelson at Busch Stadium (St. Louis, Missouri) which ranks number 4 in runs scored. Nelson has an ERA against lefties of 4.72 with a wOBA of 0.340. on the road. His ERA on the road is 5.94 and his wOBA is 0.370. Moss at home is great! His ISO is 0.275 and has a wOBA of 0.339. Moss hits righties extremely hard. His ISO is 0.323 and has a wOBA of 0.366. He has a great matchup today. Jose Abreu - 1B CWS Fanduel: 3700 Draftkings: 4900 - Abreu will go against Yordano Ventura at U.S. Cellular Field (Chicago, Illinois) which ranks number 8 in runs scored and number 13 in home runs allowed. Ventura has an ERA against righties of 3.66 with a wOBA of 0.311. His ERA on the road is 4.32 and his wOBA is 0.331. Abreu has scored 20.1 Fanduel fantasy points while his season average is 10.4. He has a batting average of 0.414 and a slugging percentage of 0.724 over that time. He also has hit 3 homeruns. Abreu at home is money. His ISO is 0.224 and has a wOBA of 0.384. Abreu hits righties extremely hard. His ISO is 0.165 and has a wOBA of 0.353. Signs are pointing up for him today. After a 3 hit performance yesterday, Daniel Murphy - 2B WAS Fanduel: 4300 Draftkings: 5500 - Murphy will go against Jake Thompson at Nationals Park (Washington, D.C.) which ranks number 6 in runs scored. Thompson has an ERA against lefties of 3.63 with a wOBA of 0.381. on the road. His ERA on the road is 12.54 and his wOBA is 0.500. Murphy at home crushes it. He has an ISO of 0.230 and has a wOBA of 0.402. Murphy hits righties extremely hard. His ISO is 0.262 and has a wOBA of 0.416. He can be in for a very nice game today. Jason Kipnis - 2B CLE Fanduel: 3700 Draftkings: 5100 - Kipnis squares off verse Tyler Duffey at Target Field (Minneapolis, Minnesota) which ranks number 3 in runs scored and number 14 in home runs allowed. Duffey has an ERA against lefties of 4.19 with a wOBA of 0.314. In addition, he is really struggling at home. His ERA at home is 7.22 and his wOBA is 0.397. During the past week Kipnis has scored 11.9 Fanduel fantasy points while his season average is 11.2. He has a batting average of 0.238 and a slugging percentage of 0.429 over that time. Kipnis on the road0.173 and has a wOBA of 0.333. Kipnis hits righties in a big way, with an ISO of 0.206 and has a wOBA of 0.356. Signs are pointing up for him today. Matt Carpenter - 2B STL Fanduel: 4300 Draftkings: 4900 - Carpenter will battle Jimmy Nelson at Busch Stadium (St. Louis, Missouri) which ranks number 4 in runs scored. Nelson has an ERA against lefties of 4.72 with a wOBA of 0.340. Also he has not done well on the road. His ERA on the road is 5.94 and his wOBA is 0.370. Carpenter at home is money. His ISO is 0.207 and has a wOBA of 0.392. Carpenter hits righties big time, to the tune of an ISO of 0.272 and has a wOBA of 0.393. This guy should get some good fantasy points. Brian Dozier - 2B MIN Fanduel: 4200 Draftkings: 5400 - Dozier will be seeing Danny Salazar at Target Field (Minneapolis, Minnesota) which ranks number 3 in runs scored and number 14 in home runs allowed. Salazar has an ERA against righties of 3.95 with a wOBA of 0.326. His ERA on the road is 3.38 and his wOBA is 0.293. During the past week Dozier has scored 31.7 Fanduel fantasy points while his season average is 13.4. He has a batting average of 0.429 and a slugging percentage of 1.214 over that time. He also has hit 7 homeruns. Dozier at home is money. His ISO is 0.299 and has a wOBA of 0.382. Dozier hits righties very hard. His ISO is 0.280 and has a wOBA of 0.373. Look for a big game. Logan Forsythe - 2B TAM Fanduel: 3200 Draftkings: 4300 - Forsythe is facing Michael Pineda at Yankee Stadium (New York, New York). Pineda has an ERA against righties of 5.74 with a wOBA of 0.327. His ERA at home is 4.7 and his wOBA is 0.331. Through the times they faced eachother, Forsythe has faced Michael Pineda 10 times with a slugging percentage of 0.500. Forsythe has scored 14.1 Fanduel fantasy points while his season average is 11.1. He has a batting average of 0.400 and a slugging percentage of 0.550 over that time. Forsythe on the road is awesome and his ISO is 0.202 and has a wOBA of 0.371. Forsythe hits righties big time, to the tune of an ISO of 0.182 and has a wOBA of 0.348. If you see him starting, try to roster him. After a 4 hit performance yesterday, Anthony Rendon - 3B WAS Fanduel: 3800 Draftkings: 4200 - Rendon will battle Jake Thompson at Nationals Park (Washington, D.C.) which ranks number 6 in runs scored. Thompson has an ERA against righties of 9.56 with a wOBA of 0.340. Also he isn't getting it done on the road. His ERA on the road is 12.54 and his wOBA is 0.500. Over the last week Rendon has scored 12.8 Fanduel fantasy points while his season average is 10.7. He has a batting average of 0.333 and a slugging percentage of 0.556 over that time. Rendon at home0.181 and has a wOBA of 0.344. Rendon hits righties big time, to the tune of an ISO of 0.186 and has a wOBA of 0.342. Nolan Arenado - 3B COL Fanduel: 3900 Draftkings: 4800 - Arenado will be seeing Luis Perdomo at Petco Park (San Diego, California). Perdomo has an ERA against righties of 5.29 with a wOBA of 0.366. at home. His ERA at home is 6.58 and his wOBA is 0.382. Arenado on the road is awesome and his ISO is 0.224 and has a wOBA of 0.347. Arenado hits righties very hard. His ISO is 0.302 and has a wOBA of 0.399. Jedd Gyorko - 3B STL Fanduel: 3000 Draftkings: 4500 - Gyorko is facing Jimmy Nelson at Busch Stadium (St. Louis, Missouri) which ranks number 4 in runs scored. Nelson has an ERA against righties of 4.02 with a wOBA of 0.347. Also he has not done well on the road. His ERA on the road is 5.94 and his wOBA is 0.370. Gyorko at home is great! His ISO is 0.210 and has a wOBA of 0.336. Gyorko hits righties very hard. His ISO is 0.322 and has a wOBA of 0.364. Kyle Seager - 3B SEA Fanduel: 3900 Draftkings: 4800 - Seager will be seeing Daniel Mengden at O.co Coliseum (Oakland, California). Mengden has an ERA against lefties of 7.03 with a wOBA of 0.349. Also he has been playing poorly at home. His ERA at home is 7.53 and his wOBA is 0.371. During the prior 7 days Seager has scored 14.3 Fanduel fantasy points while his season average is 11.8. He has a batting average of 0.381 and a slugging percentage of 0.619 over that time. Seager on the road is incredible. His ISO is 0.256 and has a wOBA of 0.381. Seager hits righties very hard. His ISO is 0.241 and has a wOBA of 0.405. Todd Frazier - 3B CWS Fanduel: 3600 Draftkings: 3700 - Frazier will battle Yordano Ventura at U.S. Cellular Field (Chicago, Illinois) which ranks number 8 in runs scored and number 13 in home runs allowed. Ventura has an ERA against righties of 3.66 with a wOBA of 0.311. His ERA on the road is 4.32 and his wOBA is 0.331. Danny Espinosa - SS WAS Fanduel: 2900 Draftkings: 3200 - Espinosa faces Jake Thompson at Nationals Park (Washington, D.C.) which ranks number 6 in runs scored. Thompson has an ERA against switch hitters of 3.63 with a wOBA of 0.381. He's playing poorly big time on the road. His ERA on the road is 12.54 and his wOBA is 0.500. Espinosa at home is money. His ISO is 0.183 and has a wOBA of 0.316. Francisco Lindor - SS CLE Fanduel: 3400 Draftkings: 5100 - Lindor will go against Tyler Duffey at Target Field (Minneapolis, Minnesota) which ranks number 3 in runs scored and number 14 in home runs allowed. Duffey has an ERA against switch hitters of 4.19 with a wOBA of 0.314. He really isn't doing well at home. His ERA at home is 7.22 and his wOBA is 0.397. During the last week of games, Lindor has scored 13.3 Fanduel fantasy points while his season average is 11. He has a batting average of 0.458 and a slugging percentage of 0.583 over that time. Lindor hits righties big time, to the tune of an ISO of 0.150 and has a wOBA of 0.365. After a 3 hit outting yesterday, Jhonny Peralta - SS STL Fanduel: 2900 Draftkings: 3400 - Peralta will battle Jimmy Nelson at Busch Stadium (St. Louis, Missouri) which ranks number 4 in runs scored. Nelson has an ERA against righties of 4.02 with a wOBA of 0.347. In addition he really has been pretty weak on the road. His ERA on the road is 5.94 and his wOBA is 0.370. During the prior 7 days Peralta has scored 9.3 Fanduel fantasy points while his season average is 8. He has a batting average of 0.286 and a slugging percentage of 0.571 over that time. Peralta hits righties in a big way, with an ISO of 0.167 and has a wOBA of 0.318. This guy should get some good fantasy points. Brad Miller - SS TAM Fanduel: 3300 Draftkings: 4000 - Miller will be taking on Michael Pineda at Yankee Stadium (New York, New York). Pineda has an ERA against lefties of 4.30 with a wOBA of 0.342. His ERA at home is 4.7 and his wOBA is 0.331. Miller has faced Michael Pineda 13 times with a slugging percentage of 0.923 with 1 homeruns. Miller on the road is awesome and his ISO is 0.182 and has a wOBA of 0.329. Miller hits righties extremely hard. His ISO is 0.264 and has a wOBA of 0.349. This guy should crush it today if he is starting. Tim Anderson - SS CWS Fanduel: 2900 Draftkings: 3700 - Anderson will face Yordano Ventura at U.S. Cellular Field (Chicago, Illinois) which ranks number 8 in runs scored and number 13 in home runs allowed. Ventura has an ERA against righties of 3.66 with a wOBA of 0.311. His ERA on the road is 4.32 and his wOBA is 0.331. During the prior 7 days Anderson has scored 11.1 Fanduel fantasy points while his season average is 9.3. He has a batting average of 0.333 and a slugging percentage of 0.417 over that time. Anderson at home is incredible. His ISO is 0.153 and has a wOBA of 0.347. His matchup it too much to overlook. Mike Zunino - C SEA Fanduel: 2700 Draftkings: 2900 - Zunino will be taking on Daniel Mengden at O.co Coliseum (Oakland, California). Mengden has an ERA against righties of 6.33 with a wOBA of 0.358. In addition, he is really struggling at home. His ERA at home is 7.53 and his wOBA is 0.371. Zunino hits righties very hard. His ISO is 0.316 and has a wOBA of 0.357. Roberto Perez - C CLE Fanduel: 2300 Draftkings: 2800 - Perez is taking on Tyler Duffey at Target Field (Minneapolis, Minnesota) which ranks number 3 in runs scored and number 14 in home runs allowed. Duffey has an ERA against righties of 8.32 with a wOBA of 0.412. In addition, he is really struggling at home. His ERA at home is 7.22 and his wOBA is 0.397. James McCann - C DET Fanduel: 2400 Draftkings: 2700 - McCann will be facing Kevin Gausman at Comerica Park (Detroit, Michigan). Gausman has an ERA against righties of 4.32 with a wOBA of 0.358. His ERA on the road is 4.82 and his wOBA is 0.358. Jonathan Lucroy - C TEX Fanduel: 3400 Draftkings: 3600 - Lucroywill go against Tyler Skaggs at Angel Stadium of Anaheim (Anaheim, California). Skaggs has an ERA against righties of 4.83 with a wOBA of 0.345. His ERA at home is 4.15 and his wOBA is 0.317. Over the last 7 days Lucroy has scored 13.2 Fanduel fantasy points while his season average is 10.3. He has a batting average of 0.300 and a slugging percentage of 0.600 over that time. He also has hit 2 homeruns. Lucroy on the road is money. His ISO is 0.156 and has a wOBA of 0.327. Lucroy hits lefties big time, to the tune of an ISO of 0.259 and has a wOBA of 0.343. He should score some big points for you today if he is starting. Brian McCann - C NYY Fanduel: 3100 Draftkings: 3500 - McCannwill go against Blake Snell at Yankee Stadium (New York, New York). Snell has an ERA against lefties of 2.70 with a wOBA of 0.290. His ERA on the road is 3.41 and his wOBA is 0.328. McCann at home is great! His ISO is 0.192 and has a wOBA of 0.339. Trea Turner - OF WAS Fanduel: 4200 Draftkings: 5300 - Turner will face Jake Thompson at Nationals Park (Washington, D.C.) which ranks number 6 in runs scored. Thompson has an ERA against righties of 9.56 with a wOBA of 0.340. In addition, he is really struggling on the road. His ERA on the road is 12.54 and his wOBA is 0.500. Turner at home is awesome and his ISO is 0.236 and has a wOBA of 0.413. Turner hits righties in a big way, with an ISO of 0.227 and has a wOBA of 0.396. Bryce Harper - OF WAS Fanduel: 4000 Draftkings: 5300 - Harper will go against Jake Thompson at Nationals Park (Washington, D.C.) which ranks number 6 in runs scored. Thompson has an ERA against lefties of 3.63 with a wOBA of 0.381. In addition he really has been pretty weak on the road. His ERA on the road is 12.54 and his wOBA is 0.500. Harper at home is incredible. His ISO is 0.221 and has a wOBA of 0.346. Harper hits righties in a big way, with an ISO of 0.204 and has a wOBA of 0.361. Jayson Werth - OF WAS Fanduel: 3700 Draftkings: 4200 - Werth is facing Jake Thompson at Nationals Park (Washington, D.C.) which ranks number 6 in runs scored. Thompson has an ERA against righties of 9.56 with a wOBA of 0.340. In addition he really has been pretty weak on the road. His ERA on the road is 12.54 and his wOBA is 0.500. Werth at home is money. His ISO is 0.176 and has a wOBA of 0.338. David Dahl - OF COL Fanduel: 3400 Draftkings: 4100 - Dahl is facing Luis Perdomo at Petco Park (San Diego, California). Perdomo has an ERA against lefties of 6.71 with a wOBA of 0.368. In addition he really has been pretty weak at home. His ERA at home is 6.58 and his wOBA is 0.382. Dahl on the road0.208 and has a wOBA of 0.389. Dahl hits righties big time, to the tune of an ISO of 0.238 and has a wOBA of 0.395. Coco Crisp - OF CLE Fanduel: 2800 Draftkings: 3600 - Crisp will go against Tyler Duffey at Target Field (Minneapolis, Minnesota) which ranks number 3 in runs scored and number 14 in home runs allowed. Duffey has an ERA against switch hitters of 4.19 with a wOBA of 0.314. Also he has been playing poorly at home. His ERA at home is 7.22 and his wOBA is 0.397. During the past week Crisp has scored 10.7 Fanduel fantasy points while his season average is 9.2. He has a batting average of 0.250 and a slugging percentage of 0.333 over that time. Crisp on the road is incredible. His ISO is 0.187 and has a wOBA of 0.332. J.D. Martinez - OF DET Fanduel: 3700 Draftkings: 4000 - Martinez will be pitted against Kevin Gausman at Comerica Park (Detroit, Michigan). Gausman has an ERA against righties of 4.32 with a wOBA of 0.358. His ERA on the road is 4.82 and his wOBA is 0.358. Martinez at home crushes it. He has an ISO of 0.315 and has a wOBA of 0.461. Martinez hits righties in a big way, with an ISO of 0.255 and has a wOBA of 0.41. He should score some big points for you today if he is starting. Stephen Piscotty - OF STL Fanduel: 3700 Draftkings: 4200 - Piscottywill go against Jimmy Nelson at Busch Stadium (St. Louis, Missouri) which ranks number 4 in runs scored. Nelson has an ERA against righties of 4.02 with a wOBA of 0.347. He's playing poorly big time on the road. His ERA on the road is 5.94 and his wOBA is 0.370. Piscotty at home is awesome and his ISO is 0.206 and has a wOBA of 0.364. Piscotty hits righties extremely hard. His ISO is 0.158 and has a wOBA of 0.328. Joey Votto - 1B CIN Fanduel: 4100 Draftkings: 5500 - Votto will be battling Rafael Montero at Great American Ball Park (Cincinnati, Ohio). Montero has an ERA against lefties of 6.00 with a wOBA of 0.426. He's playing poorly big time on the road. His ERA on the road is 11.57 and his wOBA is 0.453. Votto at home crushes it. He has an ISO of 0.227 and has a wOBA of 0.399. Votto hits righties very hard. His ISO is 0.248 and has a wOBA of 0.421. This guy should get some good fantasy points. Anthony Rizzo - 1B CHC Fanduel: 4200 Draftkings: 5400 - Rizzo will be facing Wily Peralta at Miller Park (Milwaukee, Wisconsin). Peralta has an ERA against lefties of 5.24 with a wOBA of 0.387. Also he isn't getting it done at home. His ERA at home is 5.52 and his wOBA is 0.377. When they have faced eachother, Rizzo has faced Wily Peralta 8 times with a slugging percentage of 0.750. Rizzo on the road0.265 and has a wOBA of 0.39. Rizzo hits righties very hard. His ISO is 0.269 and has a wOBA of 0.405. 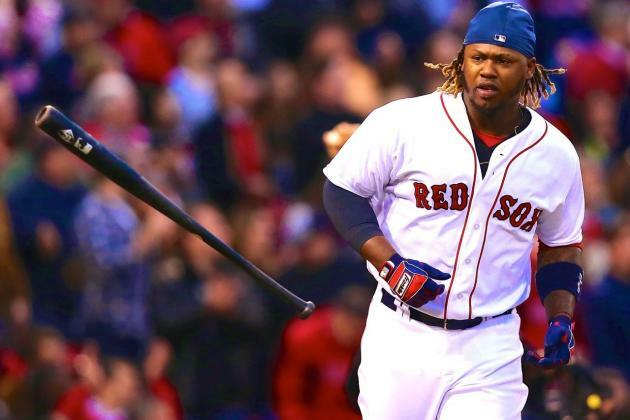 Hanley Ramirez - 1B BOS Fanduel: 3600 Draftkings: 4700 - Ramirez is taking on Paul Clemens at . Clemens has an ERA against righties of 6.84 with a wOBA of 0.418. His ERA on the road is 3.78 and his wOBA is 0.357. Ramirez has scored 21.6 Fanduel fantasy points while his season average is 11.3. He has a batting average of 0.391 and a slugging percentage of 0.870 over that time. He also has hit 3 homeruns. Ramirez hits righties in a big way, with an ISO of 0.146 and has a wOBA of 0.319. Edwin Encarnacion - 1B TOR Fanduel: 4100 Draftkings: 4600 - Encarnacion faces Luis Cessa at Yankee Stadium (New York, New York). Cessa has an ERA against righties of 4.35 with a wOBA of 0.321. at home. His ERA at home is 6.14 and his wOBA is 0.346. During their history against eachother, Encarnacion has faced Luis Cessa 19 times with a slugging percentage of 0.684 with 1 homeruns. Encarnacion on the road crushes it. He has an ISO of 0.247 and has a wOBA of 0.351. Encarnacion hits righties in a big way, with an ISO of 0.278 and has a wOBA of 0.378. He should be in for a great game as long as he is starting. Josh Bell - 1B PIT Fanduel: 2500 Draftkings: 3400 - Bell squares off verse Luke Weaver at PNC Park (Pittsburgh, Pennsylvania). Weaver has an ERA against switch hitters of 6.43 with a wOBA of 0.470. His ERA on the road is 4.8 and his wOBA is 0.363. Bell at home is money. His ISO is 0.267 and has a wOBA of 0.501. Bell hits righties extremely hard. His ISO is 0.258 and has a wOBA of 0.465. His matchup it too much to overlook. Dee Gordon - 2B MIA Fanduel: 2400 Draftkings: 4100 - Gordon will face Adam Morgan at Marlins Park (Miami, Florida). Morgan has an ERA against lefties of 3.05 with a wOBA of 0.313. Also he isn't getting it done on the road. His ERA on the road is 6.99 and his wOBA is 0.404. Gordon at home is great! His ISO is 0.056 and has a wOBA of 0.326. Look for a big game. Brian Dozier - 2B MIN Fanduel: 4300 Draftkings: 5300 - Dozier faces Dillon Gee at Target Field (Minneapolis, Minnesota) which ranks number 3 in runs scored and number 14 in home runs allowed. Gee has an ERA against righties of 4.02 with a wOBA of 0.336. His ERA on the road is 4.78 and his wOBA is 0.348. During the last week of games, Dozier has scored 22.2 Fanduel fantasy points while his season average is 13.4. He has a batting average of 0.367 and a slugging percentage of 0.900 over that time. He also has hit 5 homeruns. Dozier at home is great! His ISO is 0.245 and has a wOBA of 0.353. Dozier hits righties very hard. His ISO is 0.246 and has a wOBA of 0.355. Coming off a 3 hit performance yesterday, Daniel Murphy - 2B WAS Fanduel: 3800 Draftkings: 5300 - Murphywill go against Williams Perez at Nationals Park (Washington, D.C.) which ranks number 6 in runs scored. Perez has an ERA against lefties of 4.70 with a wOBA of 0.322. He's playing poorly big time on the road. His ERA on the road is 6.43 and his wOBA is 0.310. Murphy at home0.235 and has a wOBA of 0.396. Murphy hits righties big time, to the tune of an ISO of 0.274 and has a wOBA of 0.421. This guy should crush it today if he is starting. Chase Utley - 2B LOS Fanduel: 2800 Draftkings: 4200 - Utley will face Shelby Miller at Dodger Stadium (Los Angeles, California). Miller has an ERA against lefties of 7.09 with a wOBA of 0.414. on the road. His ERA on the road is 5.94 and his wOBA is 0.354. Utley hits righties in a big way, with an ISO of 0.144 and has a wOBA of 0.332. He has a nice matchup today. After a 3 hit game yesterday, Ben Zobrist - 2B CHC Fanduel: 3400 Draftkings: 4700 - Zobrist will face Wily Peralta at Miller Park (Milwaukee, Wisconsin). Peralta has an ERA against switch hitters of 5.24 with a wOBA of 0.387. In addition he really has been pretty weak at home. His ERA at home is 5.52 and his wOBA is 0.377. Zobrist on the road crushes it. He has an ISO of 0.192 and has a wOBA of 0.386. Zobrist hits righties big time, to the tune of an ISO of 0.166 and has a wOBA of 0.352. Kris Bryant - 3B CHC Fanduel: 4100 Draftkings: 5500 - Bryant will face Wily Peralta at Miller Park (Milwaukee, Wisconsin). Peralta has an ERA against righties of 5.79 with a wOBA of 0.384. He really isn't doing well at home. His ERA at home is 5.52 and his wOBA is 0.377. When they have faced eachother, Bryant has faced Wily Peralta 9 times with a slugging percentage of 0.889 with 1 homeruns. Bryant on the road crushes it. He has an ISO of 0.301 and has a wOBA of 0.438. Bryant hits righties extremely hard. His ISO is 0.268 and has a wOBA of 0.408. Martin Prado - 3B MIA Fanduel: 3100 Draftkings: 4400 - Prado will be facing Adam Morgan at Marlins Park (Miami, Florida). Morgan has an ERA against righties of 7.19 with a wOBA of 0.400. In addition, he is really struggling on the road. His ERA on the road is 6.99 and his wOBA is 0.404. Prado at home is great! His ISO is 0.135 and has a wOBA of 0.331. Prado hits lefties extremely hard. His ISO is 0.152 and has a wOBA of 0.474. Josh Donaldson - 3B TOR Fanduel: 4100 Draftkings: 5600 - Donaldson is going against Luis Cessa at Yankee Stadium (New York, New York). Cessa has an ERA against righties of 4.35 with a wOBA of 0.321. In addition, he is really struggling at home. His ERA at home is 6.14 and his wOBA is 0.346. During his career, Donaldson has faced Luis Cessa 19 times with a slugging percentage of 0.316 with 1 homeruns. Donaldson on the road is incredible. His ISO is 0.265 and has a wOBA of 0.401. Donaldson hits righties very hard. His ISO is 0.286 and has a wOBA of 0.409. He has a nice matchup today. Nolan Arenado - 3B COL Fanduel: 4400 Draftkings: 5400 - Arenado will be battling Jeff Samardzija at Coors Field (Denver, Colorado) which ranks number 1 in runs scored and number 2 in home runs allowed. 11.5, so expect a lot of runs to be scored. Samardzija has an ERA against righties of 3.33 with a wOBA of 0.284. His ERA on the road is 4.41 and his wOBA is 0.307. During the last week of games, Arenado has scored 15.7 Fanduel fantasy points while his season average is 13.6. He has a batting average of 0.375 and a slugging percentage of 0.667 over that time. Arenado at home0.352 and has a wOBA of 0.436. Arenado hits righties in a big way, with an ISO of 0.299 and has a wOBA of 0.397. Look for a big game. Following a 3 hit game yesterday, Eugenio Suarez - 3B CIN Fanduel: 2800 Draftkings: 3600 - Suarez is facing Rafael Montero at Great American Ball Park (Cincinnati, Ohio). Montero has an ERA against righties of 2.08 with a wOBA of 0.271. In addition he really has been pretty weak on the road. His ERA on the road is 11.57 and his wOBA is 0.453. Suarez at home0.168 and has a wOBA of 0.339. Addison Russell - SS CHC Fanduel: 2600 Draftkings: 4300 - Russell is taking on Wily Peralta at Miller Park (Milwaukee, Wisconsin). Peralta has an ERA against righties of 5.79 with a wOBA of 0.384. He's playing poorly big time at home. His ERA at home is 5.52 and his wOBA is 0.377. Russell hits righties in a big way, with an ISO of 0.159 and has a wOBA of 0.316. Signs are pointing up for him today. Danny Espinosa - SS WAS Fanduel: 2600 Draftkings: 3200 - Espinosa is facing Williams Perez at Nationals Park (Washington, D.C.) which ranks number 6 in runs scored. Perez has an ERA against switch hitters of 4.70 with a wOBA of 0.322. In addition he really has been pretty weak on the road. His ERA on the road is 6.43 and his wOBA is 0.310. Espinosa at home is awesome and his ISO is 0.196 and has a wOBA of 0.325. Corey Seager - SS LOS Fanduel: 3700 Draftkings: 5300 - Seager goes against Shelby Miller at Dodger Stadium (Los Angeles, California). Miller has an ERA against lefties of 7.09 with a wOBA of 0.414. Also he has not done well on the road. His ERA on the road is 5.94 and his wOBA is 0.354. Seager at home is money. His ISO is 0.262 and has a wOBA of 0.396. Seager hits righties in a big way, with an ISO of 0.227 and has a wOBA of 0.401. Brad Miller - SS TAM Fanduel: 3200 Draftkings: 4500 - Miller will go against Yovani Gallardo at Tropicana Field (St. Petersburg, Florida). Gallardo has an ERA against lefties of 7.02 with a wOBA of 0.363. He really isn't doing well on the road. His ERA on the road is 7.18 and his wOBA is 0.366. Through the last seven days, Miller has scored 10.6 Fanduel fantasy points while his season average is 10.1. He has a batting average of 0.261 and a slugging percentage of 0.435 over that time. Miller at home is great! His ISO is 0.306 and has a wOBA of 0.366. Miller hits righties big time, to the tune of an ISO of 0.271 and has a wOBA of 0.356. Adeiny Hechavarria - SS MIA Fanduel: 2100 Draftkings: 2400 - Hechavarria is taking on Adam Morgan at Marlins Park (Miami, Florida). Morgan has an ERA against righties of 7.19 with a wOBA of 0.400. In addition, he is really struggling on the road. His ERA on the road is 6.99 and his wOBA is 0.404. J.T. Realmuto - C MIA Fanduel: 3100 Draftkings: 3900 - Realmuto is facing Adam Morgan at Marlins Park (Miami, Florida). Morgan has an ERA against righties of 7.19 with a wOBA of 0.400. Also he has been playing poorly on the road. His ERA on the road is 6.99 and his wOBA is 0.404. Over the last 7 days Realmuto has scored 13.9 Fanduel fantasy points while his season average is 8.8. He has a batting average of 0.400 and a slugging percentage of 0.800 over that time. He also has hit 3 homeruns. Mike Zunino - C SEA Fanduel: 2800 Draftkings: 3100 - Zunino will face Martin Perez at Safeco Field (Seattle, Washington). Perez has an ERA against righties of 5.01 with a wOBA of 0.343. In addition, he is really struggling on the road. His ERA on the road is 6.23 and his wOBA is 0.342. Zunino at home0.610 and has a wOBA of 0.515. Zunino hits lefties extremely hard. His ISO is 0.269 and has a wOBA of 0.355. Kurt Suzuki - C MIN Fanduel: 2600 Draftkings: 2700 - Suzuki will face Dillon Gee at Target Field (Minneapolis, Minnesota) which ranks number 3 in runs scored and number 14 in home runs allowed. Gee has an ERA against righties of 4.02 with a wOBA of 0.336. His ERA on the road is 4.78 and his wOBA is 0.348. Throughout the last 7 days Suzuki has scored 9.4 Fanduel fantasy points while his season average is 7.7. He has a batting average of 0.385 and a slugging percentage of 0.538 over that time. Sandy Leon - C BOS Fanduel: 2800 Draftkings: 3500 - Leon will be seeing Paul Clemens at . Clemens has an ERA against switch hitters of 2.33 with a wOBA of 0.313. His ERA on the road is 3.78 and his wOBA is 0.357. Leon hits righties very hard. His ISO is 0.190 and has a wOBA of 0.373. Nick Hundley - C COL Fanduel: 3300 Draftkings: 4400 - Hundley is going against Jeff Samardzija at Coors Field (Denver, Colorado) which ranks number 1 in runs scored and number 2 in home runs allowed. 11.5, so expect some runs to be scored. Samardzija has an ERA against righties of 3.33 with a wOBA of 0.284. His ERA on the road is 4.41 and his wOBA is 0.307. Over the last 7 days Hundley has scored 17.6 Fanduel fantasy points while his season average is 9. He has a batting average of 0.308 and a slugging percentage of 0.769 over that time. He also has hit 2 homeruns. Joc Pederson - OF LOS Fanduel: 2800 Draftkings: 3700 - Pederson is facing Shelby Miller at Dodger Stadium (Los Angeles, California). Miller has an ERA against lefties of 7.09 with a wOBA of 0.414. He's playing poorly big time on the road. His ERA on the road is 5.94 and his wOBA is 0.354. Pederson at home is great! His ISO is 0.292 and has a wOBA of 0.362. Pederson hits righties extremely hard. His ISO is 0.250 and has a wOBA of 0.369. Adam Duvall - OF CIN Fanduel: 3000 Draftkings: 4600 - Duvall is taking on Rafael Montero at Great American Ball Park (Cincinnati, Ohio). Montero has an ERA against righties of 2.08 with a wOBA of 0.271. Additionally, he isn't doing well on the road. His ERA on the road is 11.57 and his wOBA is 0.453. Duvall at home is great! His ISO is 0.289 and has a wOBA of 0.344. Duvall hits righties very hard. His ISO is 0.280 and has a wOBA of 0.347. Really try to get him into your lineups. Christian Yelich - OF MIA Fanduel: 3300 Draftkings: 4600 - Yelich squares off verse Adam Morgan at Marlins Park (Miami, Florida). Morgan has an ERA against lefties of 3.05 with a wOBA of 0.313. In addition, he is really struggling on the road. His ERA on the road is 6.99 and his wOBA is 0.404. When they have faced eachother, Yelich has faced Adam Morgan 8 times with a slugging percentage of 1.000 with 1 homeruns. Yelich at home is awesome and his ISO is 0.155 and has a wOBA of 0.359. Miguel Sano - OF MIN Fanduel: 3000 Draftkings: 3900 - Sano will go against Dillon Gee at Target Field (Minneapolis, Minnesota) which ranks number 3 in runs scored and number 14 in home runs allowed. Gee has an ERA against righties of 4.02 with a wOBA of 0.336. His ERA on the road is 4.78 and his wOBA is 0.348. Sano hits righties very hard. His ISO is 0.209 and has a wOBA of 0.324. Bryce Harper - OF WAS Fanduel: 3700 Draftkings: 5400 - Harper is going against Williams Perez at Nationals Park (Washington, D.C.) which ranks number 6 in runs scored. Perez has an ERA against lefties of 4.70 with a wOBA of 0.322. Also he isn't getting it done on the road. His ERA on the road is 6.43 and his wOBA is 0.310. Harper at home is money. His ISO is 0.237 and has a wOBA of 0.355. Harper hits righties in a big way, with an ISO of 0.213 and has a wOBA of 0.369. Jorge Soler - OF CHC Fanduel: 2300 Draftkings: 4500 - Soler is facing Wily Peralta at Miller Park (Milwaukee, Wisconsin). Peralta has an ERA against righties of 5.79 with a wOBA of 0.384. In addition he really has been pretty weak at home. His ERA at home is 5.52 and his wOBA is 0.377. During the past week Soler has scored 8.7 Fanduel fantasy points while his season average is 7.4. He has a batting average of 0.417 and a slugging percentage of 0.833 over that time. Soler hits righties very hard. His ISO is 0.198 and has a wOBA of 0.324. Billy Hamilton - OF CIN Fanduel: 3100 Draftkings: 4700 - Hamilton is going against Rafael Montero at Great American Ball Park (Cincinnati, Ohio). Montero has an ERA against switch hitters of 6.00 with a wOBA of 0.426. Additionally, he isn't doing well on the road. His ERA on the road is 11.57 and his wOBA is 0.453. Hamilton has scored 11.1 Fanduel fantasy points while his season average is 9.8. He has a batting average of 0.250 and a slugging percentage of 0.250 over that time.